Overhead signs – Overhead signage in transit stations is typically reserved for essential information that guides passengers to their destination. The messages that these transit signs carry are typically essential information about their destination or the transit operators serving the transit station. They also provide other important details like street names, major buildings, landmarks, parking directions, or other transit options at different decision points like the station entries and exits, fare gates, etc. Flag and wall mounted transit signs – Transit stations also require these types of signs for facility identification and regulatory reminders, as well as other informational directions that let people know how to find their way around the station, how they should use the facilities, amenities, or other provisions within the transit station. Different signage types can also be identified through the purpose they serve. 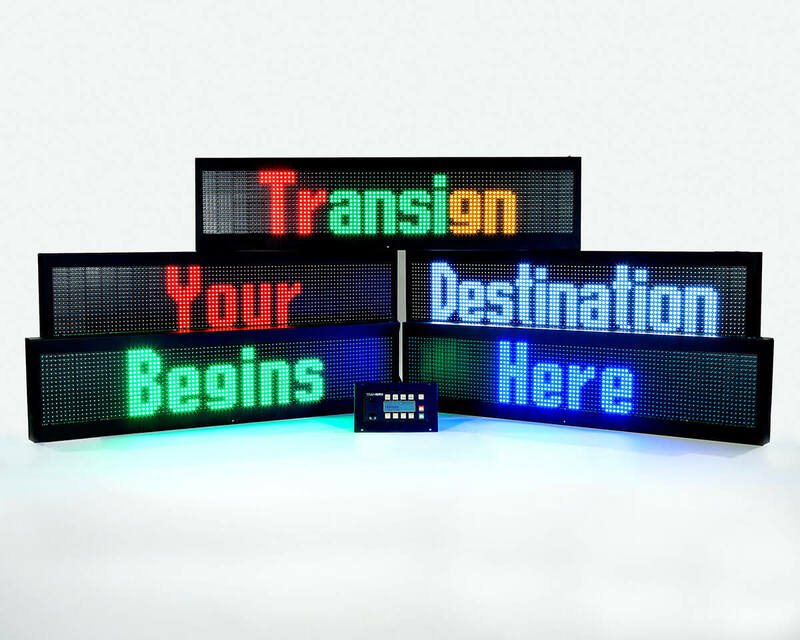 Transit signs, such as bus destination blinds, LED destination signs mounted on front, back and side, as well as the interior can be found on-board transit vehicles, used to inform passengers about essential trip details. They are also seen on the road, in the form of destination road signs, that help people keep track of the time getting to their destination. In addition to transit station information and directional signs, there are many other forms of transit related signage that can be helpful to passengers, like informational signs that display train schedules, fare rates, and station maps that include accessible routes to key areas of a transit station or platform. As information is absolutely necessary to our everyday activities, signage plays a critical role, including instructions on the use of ticket vending machines, change machines, add fare machines, parking validation machines, as well as station agent assistance devices. Visual message boards are also commonly used to display real time destination information and transit schedules on concourse and platform levels of transit stations. These types of informational signs are a standard requirement in these types of public platforms in order to ensure proper identification of transit routes and schedules, and are an efficient integration of transit information for the benefit of passengers, travelers and transit staff, alike.